Green is such a fabulous colour; it is the colour of nature and perfect for creating a tranquil atmosphere in any home whether traditional or contemporary. 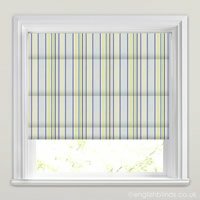 Our gorgeous green roman blinds are the ideal way to inject colour, design and luxury into your homes décor. They are all hand made here in the UK using only the finest designer fabrics and are available with luxury chain operated control a blackout lining if required. Choose from patterned designs in both funky and classical styles, sumptuous silks and stunning embroidered fabrics for a lovely lavish look and feel. With hues of lime green, sage, duck egg, citrus, olive, chartreuse and of course pastel shades to choose from, we have a colour to bring out the best in any rooms colour scheme. 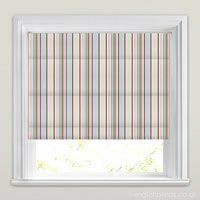 Our custom made green roman blinds are a great way to breathe new life into any kitchen, bathroom, bedroom or living room window. 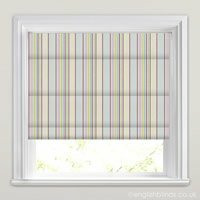 They are a great accompaniment to our green curtains and when combined together they create a window treatment that is truly sumptuous. With our fast free sample service, you can be sure of choosing the perfect design for your home.